This time, 5th Central & Eastern Europe Nuclear Industry Congress 2019,( Prague, Czech Republic, Jan 28-29th) glad to welcome Mr. Petr Závodský, Director Nuclear Power Plants Construction from CEZ, a. s. confirmed to attend as Speaker. And he will give a speech on the topic of Nuclear New Build Updates in the Czech Republic. 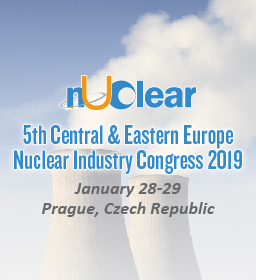 The 5th Central & Eastern Europe Nuclear Industry Congress 2019 will take place during January 28-29, Prague, Czech Republic! Under the theme of “Grasping New Opportunities throughout the Entire Nuclear Power Plant Life Cycle in CEE Region”, this congress will aim to address cutting-edge issues and emerging trends, which affect and even lead the nuclear industry.